Prague has four of seasons. Spring brings flowers and mild temps. Summer is warm and green, with light showers. Autumn can be crisp, cool and sometimes cloudy and foggy. Winter can be very cold with occasional snow. Although there is no doubt that Prague looks lovely on a bright summer’s day, it is equally charming framed by the copper tints of autumn when the weather in Prague is warm but not hot and when the wind is fresh but not chilling. If you can cope with the cold, hotel space is plentiful in winter and the city looks gorgeous and mysterious under a blanket of snow. 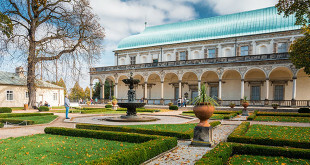 Any reason is a good excuse to visit this city and while walking through the streets full of architectural gems you will certainly have the chance to get to know the thousand facets of Prague, each time charming, modern and intriguing but also discreet and quiet. 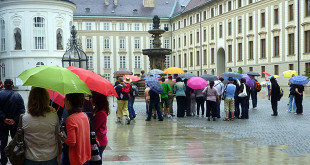 Periods when crowds of tourist are common include Easter and from Christmas to New Year, as well as May (during the Prague Spring Festival), June and September. 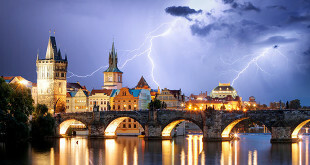 Situated at the heart of central Europe in a landlocked country, Prague has a continental climate. This means that winters can be pretty cold and summers correspondingly hot. And so we believe that the best times to visit in terms of the weather are late spring and early autumn. If you’re looking for good weather, April is usually the earliest you can guarantee at least 12C and sunny days, and October is the last warm month before winter. 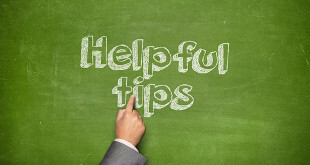 Tips: Taking a small umbrella is a good idea! Take comfortable shoes as you will do a lot of walking and many streets are cobbled, so it can be tough on your tootsies! Getting around: public transport is heated in the winter and air-conditioned in summer months. When it rains: Rain, sleet or snow shouldn’t dampen your mood, as so many cultural offerings are located indoors. And, of course, it never rains in pubs, restaurants and cafés. So grab an umbrella and you’ll find that many of the tourist attractions are wonderfully quiet.